Nassim Nicholas Taleb looks at the risks threatening humanity | Watts Up With That? Summary: How to deal with risks dominates our headlines, usually driven by single-interest groups that see only their favorite threat. Statistician Nassim Nicholas Taleb’s latest work offers a way to identify the most serious threats facing us, and determine how much we should spend to fight each of them. It has received much attention. Is it useful? A series of papers by Nassim Nicholas Taleb et al made a large contribution to our understanding of risk: The Precautionary Principle within the statistical and probabilistic structure of “ruin” problems. The main paper is “The Precautionary Principle (with Application to the Genetic Modification of Organisms)“, well-worth reading for anyone interested in GMOs or risk analysis. I will not attempt to summarize it here; it deserves to be read in full. I will point out one aspect of relevance to many of the key challenges of our time: how should policy-makers allocate funds to prevent or mitigate shockwave threats — potentially disastrous but of low or certain probabilities? 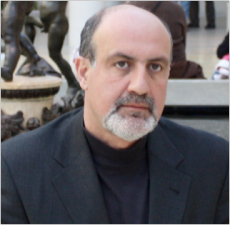 The photo of Nassim Nicholas Taleb is posted from his website with permission. See Taleb’s books, especially The Black Swan: The Impact of the Highly Improbable (2010) and Antifragile: Things That Gain from Disorder (2012). July 11, 2016 in Climate News. ← Tol on Gulf Stream slowdown: "Cooling is probably a good bit more harmful than warming…"
If you spend all your money chasing “ruin” problems, you won’t have anything left over for more mundane but important issues such as taking care of the sick and elderly. And some ruin problems are impossible to evaluate. For example, what are the odds of an alien invasion? How would you prepare for such an eventuality? Humanity could take steps, for example, we could shut down all broadcast radio systems which might be revealing our presence, radar, TV, GPS, mobile phones, this would certainly reduce the odds of an alien civilisation detecting our presence, and forming invasion plans if they were so inclined. But the cost would be vast – a huge surge in air travel danger, no more satnav in cars, no more mobile call convenience. Even though the impact of an alien invasion would likely be catastrophic, even though the risk might be high (though we have no way at present of evaluating this), it is simply not worth taking the affordable but deeply inconvenient steps which would be required to reduce that risk. I don’t know, Eric, This ‘blue’ planet with swirls of white is a dead giveaway compared to the others, I’m thinking … but your points are well taken. Nothing the least bit improbable about a black swan. I’ve seen plenty of them. I imagine they are all over the place in Australia. Essay sounds like a bunch of drivel to me. If you send five ships to sea to be sure that one gets through, what is your plan B if ALL of them arrive safely. Don’t ya think one look at earth, they’re sayin’, “whoa, alien boys! Looks like 1 to 2 degrees of global warming”? george e. smith! Though my thoughts were not as polite as yours. Precautionary principle aversion scenarios based purely on speculation rank right up there with Ouija boards and séances for reality. There are hazards, events or processes than can cause harm, and there is risk, the probability of specific hazard eventuating within a specific time frame. Then there is the actual nature of the “hazard” – alien contact is regarded as a hazard by many, but the nature of the hazard identified ranges from extinction level risk to cultural collapse in the face of a more technologically advanced society. Likewise, what is the real hazard of increasing CO2? Geologically there appears to be none. Biologically, there may well be a problem with decreased carbon availability, but increased CO2? Not really – increased carbon will lead to increased energy capture by green plants (including our crops). How is that a hazard? Too many “hazards” are but “ghosts and shadows,” and to shift the metaphor, persuing means to mitigate such threats is tilting at windmills. Human made ideas like religion and ideology comes high on the list? Today ecomarxism is the number one [threat] facing mankind. United Nations seems to be a mingling place for powerful, unelected bureaucrats endorsing inductivism and totalitarian ideas. That’s what I call a risk for mankind. Earth is probably worse place to be in regards to alien invasion, we have to get beyond just living on Earth. And we can do this by exploration of space for resources. Starting with Moon to determine if there is minable lunar water. If there is water which cheap enough, we make lunar rocket fuel. NASA should explore the Moon and then the private sector can decide if there is minable water. Next NASA should explore Mars to determine if and how anyone could live and work there. With industry on the Moon and towns on Mars. Something possibly within 50 years, an alien invasion would a lot different then compared to basically being stuck on Earth and trying at hopeless rate to get more access to space. Or we have much greater access to the space environment. 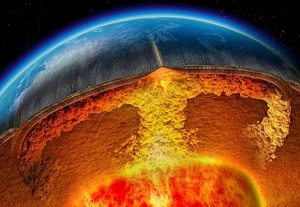 And with such access things like global warming would be easy to solve and stopping an impactor from hitting Earth would or easily done. We would be mining asteroids, and tracking everything out to Jupiter. it stop the plan to go the Moon and then go to Mars, a plan Congress approved to which Obama said, we already gone to the Moon. Indeed. Instead of scaring a credulous population senseless with disaster-movie apocalyptic scenarios, maybe we all ought to get on with solving the REAL problems of everyday life in the here and now, and get on with living it! Exactly my point! All these single-issue fanatics — spend everything necessary to fight the One True Threat — ignore how their logic applies to the full space of “ruin” threats. Taleb gives an especially extreme version of this: he explicitly ignores the probability of the threat. He ignores the implications of this. How does he prioritize funding of Fighting Climate Change vs. Preventing Impact by a Comet or Asteroid? from what i’ve seen, the two biggest risks humanity faces are stupid individuals, and the groups they form, which turn their individual idiocies into mass hysteria and unreasoning, counter-productive actions. Stupid, yes, but also often mendacious malfeasance. Mendacious malfeasance by leaders and politicians. Ignorance by their followers. Neither excusable in this new internet age. The former can easily be caught out (e.g. weakened MSM ‘protection’), the latter easily remedied. Look how fast the RICO 20 gambit has fallen apart. Look how Brexit is playing out. Which hand was tied behind your back while you stymied those assaults, ristvan? If Mr. Obama wanted, say, Mr. Watts, to be secretly imprisoned indefinably, or to be . . swimming with the fishes tomorrow, it would be perfectly legal for him to make it happen, right? And we would never know what happened, right? Redc1c4: respectfully, the biggest detriment to achieving constructive solutions to challenges confronting global humanity — regardless of the nature of such challenges — is centralized command-and-control government; that is, any such governmental system, e.g., socialistic, authoritarian, communist, etc, which does not employ as its primary mandate the protection of the unalienable rights of individual citizens, fairly and equally for all. The reason for this is both simple and basic: the PRIMARY motivation of command and control govt is the self-preservation of the “anointed elites” … through whatever means necessary. Witness: for the sake of holding power, such govts, time and time again, have wrecked environments, economies, educational systems, the media and the human spirit in general. Conversely, societies which promote freedom of the individual with truly free and competitive markets supported by truly liberal education and media — where the govt actually applies its energies on protecting such conditions as defined rule of law promoted fairly and equally — have shown to be, warts and all, the best environmental stewards while being the best at promoting human development in ways positive. Again, there is a simple and basic reason for this: the PRIMARY motivation of freeborn citizens is to pursue their dreams primarily through the positive development of their families and communities … where good environmental stewardship — clean air, water, wildlife, etc. — is part and parcel of such motivations. Where such societies exist, the properly educated citizenry tend to be able to recognize and reject “stupid and greedy” people … to the point that their “stupid and greedy” ideologies are nipped in the bud. Note: such free societies, which, through my vote, I prefer, are not perfect. Humans, in whatever culture or location, are not perfect; nor were they intended to be … as we are all flawed tragically. As an aside: me, being a citizen of the USA, where, certainly and obviously, we have our critical challenges, are failing in that we, collectively, appear to be willing to elect way too many “command and control”-type governmental officials … and we have paid already a huge price … and we, though our apparent willingness, continue to pay that price. None of us can predict the future, but, in the event that we continue down this path, permitting ourselves to be duped by certifiable “stupid and greedy” people — largely because we have surrendered our desire and demand for truly liberal education and media … and a rule of law — I cannot see a happy ending in any of our efforts — whether in the USA or globally — to even identify, let alone solve, any of our pressing problems. In our current state, as I see it, we are challenged to interpret correctly our collective societal and material uncertainties — witness our perceived environmental challenges “recognized” by many — and, as such, I for one, do not understand how we will then be able to address the risks respective to any proposed solution. Nonetheless, hope springs eternal … and therefore we must continue the fight against the dark forces. So, we need to improve our efforts to “educate ourselves, our entire societies, in a truly liberal manner”, or, chances are, we will find ourselves duped on a regular and painful basis by these truly stupid and greedy people … who apparently are smart enough — and have enough hutzpah — to know that they can fool a lot of us a lot of the time. Johnny- +10 Not recognizing the most important resource we have is PEOPLE is problem #1. While the real trick has always been how to organize society, wasting our biggest resource through bad policies and practices is the biggest FU there is. I take the view that we are all basically stupid, and couldn’t run a piss up in a brewery. What saves us is when we let lots of people try lots of things. Then there’s a decent chance that one or two of us will get it right, and we can then all copy that. That’s why markets and freedom work so much better than central planning and state-funded research. Taleb seems to be falling into the trap of thinking he’s a genius and always right, rather than somebody who had a couple of great insights once. Tim H: not to get long-winded about it — which, i tend to do [haha!] — i agree with your response comment … for the most part. that is part of the beauty of the free society/free market: one has the opportunity to try, and, to fail, and to try again … and one’s customers get to pick and choose the ones which they prefer; whereas, with command and control there are no such options, as, by definition, there is very limited, or no, such freedom. the part about which i do not agree — actually, it is because of my ignorance — is the part regarding Taleb … because, frankly, i am not familiar with him, other than reputation, so, although i will mentally register your comment, i, personally, cannot comment meaningfully … in agreement or otherwise. Yes, and why is this juvenile junk of a post getting exposure on WUWT. I hope it is editorial irony and we a meant to pick the flaws in it. But this dross is pure “argument framing”, nothing more. It is a moronically stupid narrative for anybody with half a brain. Us, who the is that. Policy makers!! Talk about manufacturing consent FFS! The very definition of reality for living organism is risk minimisation. The idea that any living being would need some late 21st century ideologue to explain survival is beyond patronising it is violent indifference to reality! So he is the father of the “precautionary principle” that is screwing up so-called “leaders” who do not know haw to think for themselves. A clever device to short-circuit critical thinking. Dump it as fast as you can. The precautionary principle causes one to waste resources looking out for something that isn’t ever going to happen. It also seems to be the motivation behind most religious beliefs. It’s the ultimate form of selfishness; doing something just because you hope to benefit in the afterlife. Whatever happened to helping the disadvantaged, just because you can, and they could have been you ?? The offending part of his idea is that total ruin overrides minuscule probabilities, and therefore must be acted upon. There are too many such scenarios and limited resources, so there really is no choice… at least one of his infinitely damaging scenarios will not get the required resources, so the idea “In this case, we must do everything we can to avoid the catastrophe” is false. Below a certain probability, say E-06/yr or lower, even complete planetary destruction should not have resources wasted on those ideas. We need to just eat the risk and thank God for another year the Sweet Meteor of Death did not hit us. What’s with the “just because” sort of reasoning? If one believes in an afterlife that doesn’t (it seems to me anyway) short-circuit all other concern/motivations, such that generous acts are inevitably rendered purely selfish . . reality remains complex . .
Are you lamenting the passing of some good old days, before there was belief in an afterlife, when much “pure” selfless help was flowing to the disadvantaged? It seems to me there is a risk of . . pride, which is itself . . complicating, in these virtuous behavior realms. Things are complicated, in any case, it seems to this worm, of no account or wisdom of his own. ” IF ” …. YOU can’t help somebody (else), then YOU can’t help somebody else ! BUT ! (alternativisation) , IF …. you CAN help somebody (else) , then you CAN do it, so why not do it (for NO reason at all); other than you CAN do it ?? Corollary : IF ….. circumstances could have been different, …. YOU …. might have been in need of help ….. from somebody (else) . PS The rest of your essay is well beyond my understanding or my pay grade, so cannot comment on that. Above your pay grade? What is this then? It appeared to me you were saying/implying that believing there will be an afterlife sullied or tainted in some way, helping disadvantaged people . . and I was trying to get you to think the matter through a bit more, so to speak. Sure sounds simple . . I mean given that (many) humans are capable of compassion, but I see no reason to think that IF one’s concern is actually JUST getting help to such people, one would not see belief in an afterlife as a good thing. He applies advanced statistics and a Wall Street risk manager’s perspective to this. Some of his insights about this are interesting. A few are useful, imo. His conclusion is daft, imo. I have have seen, listened and heard many leaders of other planets and they tell me the biggest risk to humanity is humanity itself. Cost of insurance ruins the company anyway. live without insurance. All OK! Yes indeed. The response to a ruin scenario needs to be evaluated as a ruin scenario in itself. the precautionary principle can absolutely protect you from assault, too. If your Company depends on a key man; you are all ready in trouble. And quite unlikely to survive. Back in the day when components of logic circuits (gates for example) were somewhat unreliable, the precautionary principle believed in backup duplication. A diode in a gate could fail open, causing the gate to fail, so you put two diodes in parallel so that one of them might remain functional if the other failed open. Well they also failed short, so you also should put two in series so it still functioned like a diode, if one shorted out. The end result was the diode quad of a series pair of parallel diodes or a parallel pair of two series diodes. This of course doubled the diode voltage in normal functioning, so the result was that the fan out or fan in was reduced by the need for a greater logic swing. The reduced fan out then required more logic gates to achieve a given function. So the net result was a massive increase in the component count, which raised the failure rate unless your improved the reliability of the components themselves. Fairhchild actually built 256 bit bipolar memory chips which had a couple of extra rows and extra columns so when you tested them, you could determine which complete rows and columns were good, and they had a connecting fuse that welded two crossed wires together just by probing the crossing junction with a probe. That cracked the oxide between the wires and extruded the metal through the cracks, and evidently made a quite reliable connection. But rather a Rube Goldberg way of using redundancy to improve yields. There was a lot of money went down the drain developing discretionary wiring integrated circuits, where functional interconnects could be made between tested good sub-circuits. Today’s 50 Mpx camera chips and the huge 4k UHD LCD TV sets simply wouldn’t be available if discretionary redundancy had remained as a means to achieve reliability. It took a lot of hard work by some damn clever people, squeezing the bugs out of today’s processes. NO I didn’t have anything to do with that. Just marvel at the wizards who did those things. Today’s urban-industrial civilization would not be possible if Nassim Nicholas Taleb’s form of the precautionary principle had been taken seriously by inventors, developers and promoters. Mr Taleb applied his ‘Black Swan’ theory to reassessing the thickness of the tails of the normal distribution. But we need to ask the question: In assessing disaster risks, are we concerned with normal distributions? Should we ignore the Poisson distribution? In my opinion, Extreme weather events are more like the record of kicks in the Prussian Army than to normal weather. The same is probably true of extreme volcanic eruptions, and the arrival on Earth of devastating bolides from space. Should we ignore what we have learned from Harold Hurst? I first studied Mr Taleb’s theories as applied to financial markets. The idea is that trading profits can be gained by assuming that extreme events are more frequent than the markets expect. 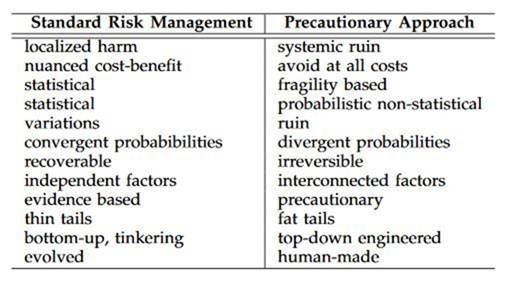 To extrapolate the theory to a general theory of risk of ruin seems to me to be over-ambitious. Most distributions generated by mankind and in nature are not normal distributions. Besides, so many phenomena scale fractally. e.g. ; The ‘climate team’ and their methods would never have advanced technology. Instead we’d hear all about the silicon chip tipping point into ruin. The technology has improved a lot. The MTBF of an individual transistor is approaching infinity (poetic license invoked). If that were not the case, modern electronics would be impossible. Not quite sure you fully understand key man insurance. It mostly applies to small companies with one to three owners who depend on each other for the success of the business. If one should become terminally ill or die the others can continue on with the business until a suitable replacement can be found. Wow Commie, I want one of those 22 core chips. I’ve got 4 in several of my machines and my expensive software somehow thinks there are actually eight there; in any case it is using eight of the four I have. I could use some more though. The software could use 16 unless they upgraded that too (doing billion ray tracing of non imaging optical systems for solid state lighting photon herding (actually photon stampeding; we already got them corralled)). … using eight of the four I have. As to “key” man insurance (T I F), of course I understand key man insurance. It’s a way of spending precious needed investor’s money on something those investors never intended to invest in (big insurance companies), instead of using it to work on the task that you sought their financial help for. For a small fraction of the cost (of the big insurance company), you can hire a bright hard working employee, with some of the needed basics, and have your key man bring him(er) up to speed on the key ingredients for which you engaged your key man in the first place. I have been through (several times) the start in the garage / kitchen table thing, and never has any VC would be investor, been interested in paying for KMI. Seems like VCists understand that big Casinos do not lose money, and big insurance companies do not lose money either. On the other hand, they may pick a question about “key” man insurance, as the principal reason they don’t want to invest in your business idea. On the other hand, if YOU and a couple of buddies(esses) are contemplating going into business, and you worry about one of you crashing his(er) Ferrari or Aston Martin, then I would scrap the business idea, and go on a world tour, before the feared funeral happens. Business is risky: live with it. Probably obeys the Military principle that battle plans work very well, right up to the point at which you engage the enemy. A major systemic risk is systematic corruption of civil servants (and quasi-civil servants), wide spread lies, and systematic (and systemic) disinfo propagated by same-minded individuals, often ostensibly for a “cause”. The danger isn’t just complete annihilation, but total enslavement. The two go hand in hand. c.f. 20th century socalism, and now Venezuela. simple , this is from from the article: “…Our concern is with public policy. …Policy makers have a responsibility to avoid catastrophic harm for society as a whole. They just use a “nicer, smoother” way of saying what you said. Model inputs are still open to manipulation. Subjective statistics for promoting the common good. Nope! Same as damn lies. Taleb was ok concerning Black Swan financial derivatives events. Subprime mortgage crisis of 2008. Fat tails exist. Benoit Mandelbot was talking about them in financial futures markets decades before Taleb appeared on the popular radar. Power laws, and all that. Taleb has gone since ever more off the rails. Embracing the precautionary principle universally leads to certain economic ruin–Billions on asteroid defense, Trillions on alien invasion defense. His most recent rant on GMO exhibits an additional and orthogonal negative tendancy–abject ignorance of the underlying biological science at work. Do we know everything about genetics, DNA, and RNA? No. Do we know enough to know what we are presently doing? Yes. Taleb discounts the thousands of lab and field tests before any new GMO organism is released. He has descended into anti-science based on ignorant closet monster speculations. Linus Pauling was a good enough structural chemist to win the Nobel prize. He was dead wrong on vitamin C. The analogy is apt. Fish out of water soon smell bad. Taleb is now a fish out of water. For people who are hard of hereing? ges, it’s the only correct form. Originated in the British House, short for “Hear the man!”. Afonzarelli. Yes, I know. My farm grows it for you. Now read up on the thousands of lab and field studies before any GMO is approved. So make your own food out of rocks and water like mother nature does. If you don’t shop for food in grocery stores you won’t have to worry much about the food you eat. Do you have any idea what happens to the food a farmer produces for you, once the packaging people get a hold of it. A typical $5 box of corn flakes probably grossed $0.02 to the farmer who grew the grain. Some people would be happy to drink the water you used to wash your agricultural food products to be sure they didn’t have any chemicals on them. So stop eating or make your own food. Absurd alarmist twaddle totally devoid of real meaning. Though you did make it absolutely clear that you do not understand farming, growing or raising crops. Otherwise you’d know that most domestic crops are unable to survive without man’s total care and maintenance. If man doesn’t plant them, care and cultivate them, they’re gone within a couple of years. So you eat it? So what? Are you ware of what your body does to food when it digests it? We eat cereals and we eat squid and we eat cows and we eat flower buds -sometimes in the same dish at the same time. We can cope with food that’s a mixture of all of those – why would we not be able to? All of the food that most of us eat has been genetically modified. Wheat has been genetically modified for at least 6000 years. Paddy rice, maize-corn and potatoes also, for thousands of years. As well as farm animals. The scrawny chickens that run free in every village in SE Asia (its place of origin) are nothing like the genetically modified US chickens sold in Jakarta supermarkets and the eggs of the village hens are unlike Grade A Large eggs sold in the same supermarkets. Farmers in developing countries will plant whichever GM plants they can afford just as they plant whichever hybridized plants they can afford. Ask yourself, would you eat a beefalo steak if you knew it was a healthier alternative to beefsteak? Hybridizing beef cattle with buffalo was a minor triumph for GM. Or is genetic engineering in laboratories the real target? If so, why so? Is the opposition science-based? Or Philosophical? Or religious? WOW! A few references for this please. Based upon my own and my families personal experiences, I am of the absolutely opposite opinion re: Dr Pauling and Vitamin C.
Google is your friend. Do your own homework. I am not the one that made the claim that Linus Pauling…”was dead wrong on vitamin C.” You did. It seems reasonable that you should be the one to demonstrate the validity of said claim. My research brings me to this web page that lists more than 50 on-line articles written by Dr Pauling. Here is a list of Megavitamin and Nutrition Publications by Dr Pauling. This list contains more than 200 papers spanning from 1968 to1995. So, you cite Pauling to approve Pauling. Try rest of the medical literature. I am reminded of Carl Sagan’s remark, “Extraordinary claims require extraordinary evidence.” If ristvan had said, “In my opinion,…” then that could be accepted that at face value. However, to suggest that you search on Google implies that there are definitive studies that refute Pauling’s claims. Therefore he might then have simply said, “According to Tweedledum et al. (2016), Pauling was wrong about Vitamin C.” Then you could have taken it up Tweedledum and ristvan would have been off the hook. OK, so it is up to me to prove your assertion wrong, you sound like a CAGW type. 1. Dr Fredrick Klenner MD used theraputic dosages of Vit C in his medical practice for more than 30 years, this book is a compilation of his medical journal papers. Clinical Guide to the Use of Vitamin C. A complete on-line book. 2. Hickey S and Roberts H. Ascorbate: The science of vitamin C.
BTW These are not just listings I found on Amazon, these are books on my bookshelf at my elbow. I have read them. Also, do not try to dismiss these as “just books”, these include hundreds of medical journal references. Dr Levy’s book alone has more than 1200 referenced articles. I think it is now time for you to admit the possibility that Dr Pauling was not “dead wrong”, and also to admit the possibility that you have been misinformed. Well put. I expected no less than that from ristvan. Instead I got..google..
As a chemist I happen to think that Pauling’s work on Vitamin C was largely erroneous. My main argument is that our society lacks evidence of a widespread medical condition that can be attributed to a lack of Vitamin C. Further, there is often good sense in study of the conditions in which people evolved, to ask questions about what they are suffering today by not using what they evolved with. Or over-using what they did not evolve with. 1. Current, widespread marketing of foods and medications that are “rich in anti-oxidants”. 2.The continuing presence of homeopathy, when all credible evidence shows its efficacy to be no better than placebo response. Huge sums are being wasted on cult diets, cult foods, cult ‘medicines’ while proficient scientists sit back timidly and avoid their issues instead of speaking out against them. It is not hard to tell it as you see it. And, BTW, there is lots of that evidence, see my references above. I do not have the skills to make the arguments here, I will let Drs Klenner, Hickey, Levy and Hoffer speak for themselves. Therapeutic (i.e. very large) dosages of Vit C actually do work. This is an excerpt from Dr Andrew Saul’s website. If so, why haven’t you heard more about it? Why haven’t more doctors used Vitamin C as medicine? Progress takes time, unfortunately. Fresh fruit was known to cure scurvy by 1753, yet governments ignored the fact for nearly 100 years. Countless thousands died in the meantime. The 19th century doctor who first advocated washing one’s hands between patients died ignored and in disgrace with the medical profession. Toxic mercury was used as medicine into the twentieth century. And so it has been. This insight is by Marcello Truzzi, from a 1987 article that is well worth reading. It has many lessons for public policy to cope with climate change. Ristvan simply made a crass generalization in claiming that Linus Pauling ”was dead wrong on vitamin C.” At face value the assertion can be dismissed as nonsense, simply because Pauling said a great deal on the subject of vitamin C and made a long list of claims regarding its efficacy, and any reasonable observer today would accept that he was right on some things, wrong on others, and that the jury is still out on yet other things he said about the vitamin. Ristvan’s “dead wrong on vitamin C” claim is too general and too absolute to be worth the bother of refuting. Google is not necessarily your friend here. SInce googling your way to somebody else’s dogmatic judgment on matters you have not sufficiently investigated and don’t have a sufficiently strong interest in verifying for yourself can be counterproductive, leaving you feeling smug and superior but no less ignorant than before you started typing into the search box. Vitamin/supplement advocates get about as much respect from the orthodox medical establishment as CAGW skeptics get from the grant-funded climate science establishment. The putdowns and abuse come with the territory. Over in Alarmistan, for instance, Anthony and Willis get routinely accused of being dead wrong on just about anything by people who are too sloppy to specify precisely what they are dead wrong about and how. The mere mention of their names is enough to get the Climate Jihadis blood pressure up. And people who make these sweeping assertions seldom back down when called out. They usually insist on upping the ante and digging themselves deeper into the hole they’ve made, because the same nagging ego that forced them to make the sweeping assertion in the first place will not countenance an admission of error. One of the sadder things about online communication is how easily things can degenerate to the level of of junior high school playground. Linus Pauling may or may not have been wrong on vitamin C. He was definitely, and persistently, wrong on quasicrystals. ‘From the day Shechtman published his findings on quasicrystals in 1984 to the day Linus Pauling died (1994), Shechtman experienced hostility from him toward the non-periodic interpretation. “For a long time it was me against the world,” he said. “I was a subject of ridicule and lectures about the basics of crystallography. The leader of the opposition to my findings was the two-time Nobel Laureate Linus Pauling, the idol of the American Chemical Society and one of the most famous scientists in the world. For years, ’til his last day, he fought against quasi-periodicity in crystals. He was wrong, and after a while, I enjoyed every moment of this scientific battle, knowing that he was wrong. Um ; Er ! is Scurvy extincticated; eliminating any need for vitamin C ?? Just asking: What schooner did Dr. Klenner sail on ?? Pauling was right on Vitamin C – for me. I have used it as an antibiotic numerous times. It works. Against the common cold? Never tried it. I keep my Cs up and don’t get colds. The biggest risks facing the world are fear mongering politicians, “running out ” chicken littles, and NGO Driven faux fears. What is the cost of a “ruin event” like the hoax of CAGW? And what about follow-on prescriptive costs, such as the prescriptions to build large wind farms (to pick just one area) and other necessary supporting infrastructure costs? The cost is TBD. The effort for global government in conjunction with the large financial cost of wasted resources and very expensive energy could easily result in economic collapse and war. If a nations energy capcity is sufficiently impaired by CAGW policy, then this could result in said nation/nations losing in that war. An additional factor which should be considered is: How to ‘handle’ the analysis of a process which may impact something else [think of emissions to the air] but for which there is currently no known effect, good or bad. Is it ALWAYS necessary to assume it is negative? In any case, how does one describe the parameters? Later work MAY be able to quantify some of the effects – good and bad – but it is not certain that work will ever occur. It is very difficult to assign meaningful probabilities in any non subjective way. your argument that there are too many… is subjective unless you can demonstrate how many would make it useful. That is, if there were only 4 scenarios it would be useful? but at 5 it becomes useless? Here is a hint. It is hard to show that something is useless. I predict you wont actually address these two issues. I numbered them to keep it easy. (2) “The rest of your reasoning is almost as falacious. No, just a reading FAIL by you. It’s not the number of scenarios but their aggregate cost that makes this concept useless. Public policy is a process of allocating scarce resources across far greater needs. Hence a useful process must provide some mechanism to do so. Just to spell this out for you, to reduce the odds of you making another reading FAIL. Taleb explicitly recommends against a public policy mechanism to allocate resources between ruin events, destructive non-ruin events, and regular life. That crashes immediately. We face climate change from anthropgenic warming, asteroid or comet impact, nearby supernovas — plus however many other ruin events we can imagine. Taleb gives no way to policy makers to either fund “everything we can to avoid” all these catastrophes (“at all costs”) or to allocate funds among them. This was explained quite clearly in this post, which you ignored. Why am I not the least bit surprised that Larry Kummer subscribes to the fallacious Precautionary Principle? Taleb jumped the shark a long time ago and has been seriously refuted more than once. You didn’t read far enough, maybe? Mr Kummer did a very nice job of reducing it to absurdity, i thought. I hit his “Stay tuned tomorrow” notice and decided it was no longer worth trying to understand. That’s got to be the weirdest comment here, for three reasons. (1) It was the end of the post (only a Bible quote followed, plus links to more info). (2) I feel sorry for you if you found this too difficult to understand. Whatever his faults, Taleb is widely considered a clear writer. (3) The next post discusses another paper by Taleb. Weird that you consider that a problem. Why am I not surprised at your gross misinterpretation of this post? There is nothing in this even remotely supporting that conclusion. See the posts listed in the For More Info section for my views on the P.P. In the event that your house catches fire over the next hundred years, you need to station a fire brigade in the front room. You should also have a policeman living in the spare room in case you get burgled, and a medical clinic out back in case any of the family fall ill. In case you suddenly need to learn something over the next decade you must install a fully equipped school in the front yard. Every house in the street needs to duplicate these services, so that life is never ruined by unexpected disasters. You have to always be prepared for the worst. I was always told anything is “possible”, only what is “probable” matters. Forget the precautionary principle. Is the event likely or not? Was the government involved in this analysis—if so, decrease probabililty by at least half, if not more. If the only solution is more money and more government, decrease probability by at least 75%, if not 95%. Virtually no science problems are solvable only by taxation and government. As put so beautifully in “Yes, Minister”, “Anything is possible, Minister, but never for the first time”. If relatively minor or simple precautions make the crisis significantly less likely, use them. Otherwise, watch for significant increases above the insignificant likelihood level. Ruinously expensive means are pointless against known “highly improbables”. I truly do not get why people listen to this guy. “The Black Swan” was a laughable book. “At all costs” is a terrible measure. For an example, it’s widely known (and Taleb agrees) that the bigger a socialist government, the worse it gets, to the point of total ruin (See: Venezuela, 100M+ killed in the 20th century, etc). So if the answer to C02 rising due to man is a global bureaucracy , then the cure is worse than the disease. Unfortunately a lot of alleged cures for global systemic ruin involve just that: some global unaccountable bureaucracy. “At all costs” cannot include a solution that has its own systemic catastrophic failure modes. Especially one with KNOWN failures trying to take on some unknown but possible failure. Mankind, for better or for worse, keeps increasing the capability of a single individual or a small group to unleash large destructive forces. Alas, aside from MAD we haven’t really come up with solutions that are worse than the problem. I agree, the only way to overcome “at all costs” is to form a “colective” that does not need to answer to laws or the will of the people. For example, if there is a pandemic and the only option is to nuke a population to kill the virus before it spreads, who and how could a call like this be made without ultimate power. Smells of socializm. I am puzzled by the Precautionary Principle. Given a ‘ruin’ threat everything possible must be done. But what if that threat assessment is incorrect and the ‘everything possible’ cure is worse than the disease? Surely the precautionary principle would then apply and everything possible should be done to prevent an action that leads to ruin with the intention of preventing the initial possibly wrong threat assessment. For example – the ruin scenario from the warmists is runaway global warming leading to extinction so they prevent the use of fossil fuels. However what if they are incorrect and there is actually runaway global cooling to an ice age and equal ruin unless energy from fossil fuels is available.? The precautionary principle would appear to lead naturally to stasis – a frozen indecision with two or more competing ‘ruin’ scenarios. Your conclusion of stasis is entirely logical. “do nothing” is what the Brits call “muddling through”, and is very often the correct answer to issues with complex systems. Logic isn’t Boolean. In this case it’s at least Ternary. It is quite unsustainable logically because it makes too many unproven assumptions such as “god will reward you for believing and punish you for disbelieving”, whereas it may be that god will reward someone who takes full responsibility for his/her own actions instead of just following orders. Who is of a higher morality – the one who follows orders through fear of punishment or the one who acts morally through personal commitment to moral behaviour? Or one who simply cares about others? It is also unsound because it assumes that Pascal (or whoever) knows god’s nature, yet we don’t even know which god is there if any. Might not Zeus get pissed off with all these Christians? Or what if god has a really unfortunate sense of humour and rewards/punishes at random? 97% of Theologians might believe any these possibilities but who can prove any of them? It is quite similar to the ACGW religion of course, no wonder they cite it as a reason to inflict massive pain on the innocent. You end up believing that god is a psychopathic mass murdering sadist who delights in torturing the innocent but you’d better worship him/her just in case. As with ACGW the logical conclusions are so extremely anti-human that to apply it ourself, and others, is itself immoral. That is, if you’re a morally autonomous being of course. I’m sure the bureaucrats and politicians would have no trouble with it (SARC – maybe). If there is an actual God, that God would see to it that only True concepts/beliefs about “It” would be thinkable/utterable/writable by we humans. ~ Therefore no concept/belief in God(s) can be valid/true, and no God(s) exist. Why exactly would a God wish to preserve humans that He provided with relatively good intelligence, that can’t get past such a simple mindtrap? Mr. Pascal was under NO moral obligation or logical constraint to speak in terms of what he was convinced were false concepts/ideas about God(s) which could not (even ostensibly) preserve (save) you, in trying to offer some logical basis for not turning your back completely on the God he thought could preserve you (forever). In fact, accommodating concepts/beliefs that didn’t even involve eternal salvation (out of some PC puritanism concern or whatever) would be self contradictory on both the moral and logical levels, it seems to me . . YOU may believe there is no God, but you are not a God, so your belief is not the correct/logical belief by default. It might be illogical for YOU to offer the argument Mr. Pascal did, but not illogical for HIM to . . as well as immoral (obviously I say) for him not to offer it once he considered the matter carefully . . in hopes that you would too, and would grasp that he WAS being logically and morally consistent. I saw the matter that way as a non-believing philosophy major long ago . . so I don’t believe it’s anything all that difficult. People must be self consistent to be logical/moral, don’t they? sometimes paranoia is the product of someone with way too much time on their hands……. Why oh why this eternal faith in the magic of bureaucracy? They do NOT magically “liberate us from the narrow perspectives of special interest activists”. They make us MORE susceptible to special interests when those interests capture the bureaucracy. Ugh, so tired of people believing in magic. There is no magic. There is only fallible humans. Right on–nonsense so blatant that only an intellectual would fall for it. In the financial markets there is no such thing as a “Black Swan” event. Severe collapses have always been preceded by a speculative boom. Then the change in the yield curve and credit spreads push off the contraction. Once people are amply funded, they cease to have any interest in the project for which they sought the funding. preservation of the funding becomes paramount. @ george . smith, + many! I read Taleb’s paper and what I see is a Climate Faithful who has finally woken up to the fact that his prophets have a terrible track record and all their scary scenarios have an almost zero percent chance of coming true. But of course, that’s no reason to change their crazy demands that we abolish capitalism and democracy, and hand them absolute power. No, the answer is apparently to double down on the precautionary principle by taking it to infinity. Every day the Climate Faithful prove that they are nothing more then an apocalyptic cult. The more it becomes apparent that their dooms day isn’t coming, the crazier and more shrill they will become. Nassim Nicholas Taleb is a favorite! No, I don’t slavishly agree when he contradicts my expertise. His opinions are well founded and literate. His pop books are favorites, and his collaborators are as profound. He recommended The Science of Conjecture: Evidence and Probability Before Pascal by James Franklin that’s fundamentally affected my thinking. We agree on the Pareto Distribution and its effect! “The Black Swan was a laughable book.”. Hmmpf! I still say the only way to guard against all ruin scenarios is to get humanity off the planet. Forget climate change, forget pandemics, nuclear war, large meteor strikes, so on. Make sure all of our eggs don’t stay in one basket. Cost a lot of money and take a lot of time, but it’s the direction to move in. If we are worried about ruin, move faster I guess. Oh? And which planet-without-ruin-scenarios will the migration select? Because in space nobody can hear you scream? The universe is full of risks, there’s no safe place. It’s even rumoured that, regardless of where we are, eventually everyone dies. Try PrecautionaryPrinciple-ing that away. Thanks Brian, Tim. Certainly, there’s no safe ‘without-ruin’ place. My point was just that space colonization means that a disaster that wipes out life on earth does not wipe out humanity. In that sense, it’s another, extra roll of the dice in case of a ruin scenario on Earth; the space colonies possibly would be impacted to a lesser degree. “…human actions would be considered harmful unless proven otherwise.” This came from a fisheries paper– Restrepo, V. R., P. M. Mace and F. M Serchuk. 1999. The precautionary approach: a new paradigm or business as usual? pp. 61-70, IN, Our Living Oceans, Report on the status of U. S. living marine resources. NOAA Tech. Mem. NMFS-F/SPO-41. My impression is that the idea was a reasonable approach that if you could not determine the cause of an apparent pollution problem it could justify experimenting by removing a source. This happened once for example, I have the reference somewhere, where they took out the phosphate, years later the adjacent waters lost their productivity. Not sure that directly applies, though. 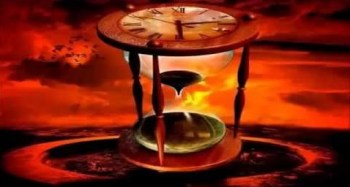 There may be a complete analysis of its history, if not, there needs to be as it seems to have started about the same time as the climate stuff in the 1990s. It may be a poor justification of what basically is, as I told a graduate student some years ago pushing it as a fisheries policy, as one legal scholar wrote–guilty until proven innocent. While humans are often responsible, the marine biology literature has many papers making the assumption of Restrepo., et al. Not very scientific, but may help explain some of the nonsense going on. Or it may just be a symptom. It has been often applied to commercial fisheries. You can find discussions and debates on this very topic, with the same level of intelligence, the same stupid baseless assumptions and the same useless results, in any freshman dorm. bobthebear was correct. It was the former. Tsunamis are pretty destructive. Just have to be aware before they strike by getting to higher ground. I think if a huge asteroid was detected and coning this way, we have the technology to divert it’s course in time. To me the real challenge is preventing those guys with the suicide vests getting hold of a nuclear weapon. (the terrorists). You could paddle up the Hudson river in a birch bark canoe, and blow the whole NYC city up (or any city). That is my main fear. In approximately 5 billion years, the sun will begin the helium-burning process, turning into a red giant star. When it expands, its outer layers will consume Mercury and Venus, and reach Earth. What precautionary plans are we currently making for this event? Slowly developing our ability to expand ‘civilization’ beyond this planet? Not sure we have that much time. Can’t remember all the details but doesn’t our part of the spiral arm pass through another galaxy/nebula in about 2 billion years? We need to get a move on if we want to be sure to survive as we will have to spread beyond the spiral arm we are in. noaaprogrammer no we are not. 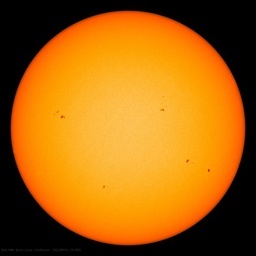 Scientific modelling will show we can adjust the Sun’s output to the level consistent with CO2 levels on Earth 1800AD. Just give the scientists more money. @ J. Philip, 7;48 pm, ” I think if a huge asteroid was detected and coming this way, we have the technology to divert it’s course in time”. How, ? a laser beam? A rocket faster than a asteroid travelling at what ? 36,000 kms /hr ? We do not not have that technology, sorry, my answer, Duck! Probably not. There is quite a bit of research about this. See these for excerpt (some great graphics), and links to learn more. Celebrate Asteroid Day, about preventing death from the sky. So if TONIGHT’S 6PM news broadcasts that a huge asteroid (MILE in diameter) was detected coming this way (365 days to certain impact), just when (tomorrow or in 364 days) do you plan to activate the technology we have (NOW) to divert it in time. Where in the 365 days transit do you plan to intercept the huge asteroid; and in what direction do you plan to redirect it, so that it misses us (THIS TIME) and doesn’t return in a more certain hit path in the future. The further out you plan the intercept, the smaller the payload that you can get out there promptly, so the less deflection you can accomplish, and the less accurate your targeting , so less sure of needed deflection, unless you further reduce the deflection payload by providing active homing means for surer targeting. From whence does this savior deflector get launched whther tomorrow of in 364 days, or whenever? Sounds pretty gutsy to me. WHO has this technology (NOW). Interesting hypothetical example you have there Allan, and such expeditious judgement . So WHICH cop (there’s so many) killed which INNOCENT civilian (all crooks are innocent), and where/when did this happen ?? Well I’m talking about in North America of course; the venue where you recognized this tribalism. Would that be in Canada, or USA, or Mexico ?? Seems like they have somewhat different tribes in each of those places. So far we have seen at least one case, in which three out of six tribalists accused of murder of an innocent civilian have been tried (in a court of law) and found to not be guilty of any such crime, and they were evidently the alleged instigators, and the other three yet to be tried, seem to have been even less associated with the event than those three were; yet all six were found worthy of charging, by a very fair minded district attorney, who was of course without any bias in the matter, and simply doing her job as she saw it (from the perspective of her tribe of course). I must have missed your comment about the now 7 1/2 years of determined instigation of hate based tribalism, directed right from the very top, and premeditated to destroy the state of relative harmony that had been won through decades, of trial and error. With your clear understanding of our systems, you no doubt are just itching for us to endure another 8 1/2 years, of this fifth column destruction from within, just in case the destruction from without is unsuccessful. By addressing a risk you change the risk – sometimes for better, sometimes for worse. When DDT was effectively banned circa 1970 to “save the planet”, the risk assessment was utterly flawed, essentially false. The ban of DDT caused millions of deaths from malaria, whereas the benefits to the environment, if any, have been minor. The trillions of dollars spent every year to “fight global warming” is another case of flawed risk assessment. The move to replace cheap, reliable fossil fuels with expensive, intermittent “green energy” systems will cause an increase in poverty and more excess winter deaths, and will do nothing to improve the environment. We were in North Africa during the Arab Spring. People there were exuberant about the new possibilities for their countries. I tried to explain that real world choices are seldom black and white; that you don’t often get to choose between good and bad, you often have to choose between bad and worse. In too many cases across the Arab world, they tossed out rulers they thought were the bad, only to get new ones that were worse. The police in North America have for hundreds of years sought safety in tribalism. When a cop killed an innocent civilian, the force defended the killer cop and whitewashed the killing. Standard practice was to shoot first – to reduce the risk to the cop – and then join ranks in the cover-up. This tribalism worked for the police until recently. But tribalism begets tribalism. Now it is “you get one of mine, I get two of yours.” The cops who recently murdered two black men incited the killings of the five cops in Dallas. Again, by addressing the risk they changed the risk – very much for the worse. In all of these cases, there was a fatal flaw in the risk assessment. Minor or non-existent risks were escalated into major crises that required immediate and costly actions, and the consequences of those actions turned out to be far worse than the original risks. The common thread in all these diverse reactions to alleged risks has been fatally flawed risk assessments, incitements to hysteria and over-reaction to the threat, to act in haste… and repent at leisure. Well said, Allan, and good examples. Sometimes the problems are not as simple as the facts made apparent to us. There may be hidden dimensions to each. We need to approach all such problems with the notion that we don’t know everything about each problem. We need to produce solutions cautiously, ever aware that we may need to dump one solution and acquire a new one as we learn what works and what doesn’t. This requires a lack of ego and attachment. Take for instance the Arab problems. If groups like the CIA and SIS destabilize situations and push lies into a culture to stir things up, all the news media sees is the unrest they want us to see. And what if agencies no longer work for the people they are supposed to serve, but the self-proclaimed elite who have so much money they could bribe a priest into all manner of sin. In some respects, it’s all a matter of marketing — find out how to play people’s egos in order to motivate them to move on the chessboard of life toward checkmate. What’s the end game? If I were a rich psychopath who knew the difference between right and wrong, but didn’t care, I would want the whole enchilada — the entire planet. I would want to reduce the population by 95%. I would only need a few hundred million serfs to do my bidding. Ironically, these clever creatures of sophistication know marketing so well, they know how to keep people from looking into conspiracies. They merely make the topic look “kooky and rare.” They make American wars look like “peacekeeping actions.” And they turn intelligent discernment (discrimination) into evil prejudice. In a game of 3D chess, the one who always thinks only in 2 dimensions will remain disadvantaged. Pretty sure it’s worse than….. (all together now!)….eeeeeevaaaaah! Taleb’s your standard warmie, with a few catchy buzz words and an aptitude for columnising and boxing abstractions to make opinion look like scientific determination. I’m so over all this expensive fluff from the likes of Taleb and Kahan, who use a veneer of skepticism as a false door into consensus. It’s “ruin”. Taleb’s work is interesting and shows some promise, but he falls prey to the GiGo principle — garbage in = garbage out. In the climate portion he unwittingly buys the lie that carbon dioxide is a pollutant and says that we need to reduce CO2 no matter what the models say. Dumb! CO2 has never been a pollutant. The only reason it was ever declared to be such is because warming alarmists said that it causes evil global warming. But global warming is good. So, carbon dioxide as a pollutant is a lie within a lie. It is garbage’s garbage (garbage^2)! Perhaps the only protection against a flawed approach to problem solving is to be humble enough to listen to criticism. But ego seems to be in vogue these days. Perhaps ego is the real enemy of us all. NOBODY gets out alive !! According to the Christian Bible two people didn’t actually die. Probability without some sort of evidence? Wow! It’s models all the way down. A nearby supernova could sterilize the planet. Prevent it! Hurry! That’s an excellent example of a “ruin” scenario of absurdly low probability. Thanks for suggesting it; I’ll use it. I’ve read that a supernova within 50 light years would destroy most advanced life on Earth. First, global warming (the real thing) then the wave of high energy particles. It’s certain to happen — every few billion years or so. Taleb’s next article might urge that we prepare real soon! Note typo in link. It should be L’Hôpital’s Rule. All of the foregoing is called the quagmire of marginal statistics. It’s said that we should multiply the cost of certain events, x, with the probability of its occurrence, p(x). Let p(x) = f(x)/N. Let’s take the sum of products, SUM (x * p(x)) = 1/N SUM (x * f(x)) = MEAN (x). This is the way we compute the mean or expected costs if we know the probability distribution p(x). If the distribution were Gaussian, we would have in the right tail extreme costs to be multiplied with ever shrinking probabilities, in the end infinite times zero, so to say. The mean of a Gaussian distribution is finite, isn’t it? If it were true that for infinite high costs we would get infinite values of the products, the distribution, beginning with x=0, should have an infinite mean. What kind of distribution has an infinite mean? Could it be that Taleb made at the end of his career some mathematical errors? Even if probabilities are expected to be zero but have a non-zero uncertainty, then a sensitivity analysis that considers the impact of that uncertainty results in infinities as well. Then you have a problem, because there is infinitely many subjectively non-zero probability ruin scenarios. But this is exactly what Taleb says. That kind of analysis won’t fly. It is also a blatantly incorrect analysis. PP can’t be applied ‘at all costs’ on marginal risks in real life. And the hooks (for his food ) and the spring (for his thirst)..
the post I thought I was linking with. Fine link. Benefits of fossil energy for Africa are 50X costs, all-in. I had an old aunt who saw devastating risks everywhere, if here advices had been followed, nothing would have been achieved. By inductive reasoning paranoid minds can imagine many devastating risks for humanity. One thing I know for sure about paranoia is that the costs are enormous. Fundamentally, the PP Precautionary Principle is a device called upon by researchers whose work is incomplete, but judged by them to be so good and important that there must be a mechanism to recognise the greatness. That mechanism is the PP. In some cases an emerging PP is avoided by further research that fills in the story to the stage where remedial action becomes no longer needed. However, some claim a type of mechanism that seems to have no possible remedy apart from the PP. Two main reasons are that research will take so long that the matter will be upon us before a solution is found; and that it is not possible to do experimental work like duplication of results because of the nature of the problem, which has to remain open ended. Now I suspect that some researchers are purposely contriving scenarios that they know have no presently known outcome possible, in order to invoke the only alternative, the PP. Hence its prominence and ‘official’ definition in environmental literature. This can be seen as a cynical attempt to grab those 15 minutes of fame. Has anyone compiled a list of cases where the PP has been applied, with a result that is better than the status quo was; and that proceeded down the predicted course, without unintended consequences? Some might say ‘Montreal Protocol’ but the jury is still out on that case. Just be wary of the intellectual dishonesty, anti-science and laziness of the PP, especially in current trendy phases like ‘environment protection’ and ‘sustainability’ which seem to operate on the verge of invoking the PP for just about anything under examination. The PP is not a risk mitigation mechanism, which is the sensible thing to do with risks that bring benefits – say flying – but a risk avoidance mechanism, useful where risks either cannot be mitigated or cannot be quantified at this time. Taleb absolutely misuses it as he thinks of it as a mitigation mechanism, which it is not. Thus the PP has some useful applications, but it is extremely limited in scope. To qualify, you should be looking at a status quo versus a change that has unquantifiable or unmitigatable risks. If the risk are known or can be mitigated, then you can just do a cost-benefit analysis. That also means that as a starting point (i) the status quo has is broadly acceptable to people, and (ii) is widely accepted as being “true” (i.e. the facts of the status quo are not disputed). Thus it is possible to characterise the debate about say GMOs in Western Europe as a PP issue. The status quo is that we are well-fed and very healthy, and our agriculture and back-ups for food are stable. In developing nations, none of that is the case, so the PP is not very useful there. The PP is however useless where there is no acceptable (or accepted) status quo. Climate change is one of these instance. The Alarmists claim that the status quo will lead to disaster, but the Sceptics say that the “solution” will be disastrous. And even the Alarmists admit that the change needs to be massive and so must come with massive and unquantifiable risk as we are so poor at changing things. So we are not offered a choice between a status quo we are broadly happy with and change that comes with some benefits, but a choice between disasters. The PP simply cannot help with such decisions, and to use it for climate change is utterly wrong. Surely…. this suggests that Taleb’s proposed defensive posture it itself a ‘total ruin’ event? Which means that we ought to defend ourselves against it. But defending ourselves against it runs into an infinite loop….. I know! We just ignore Taleb, Problem solved! If you followed the PP to its full extent, you would stay at home wrapped in cotton wool and bubble wrap. 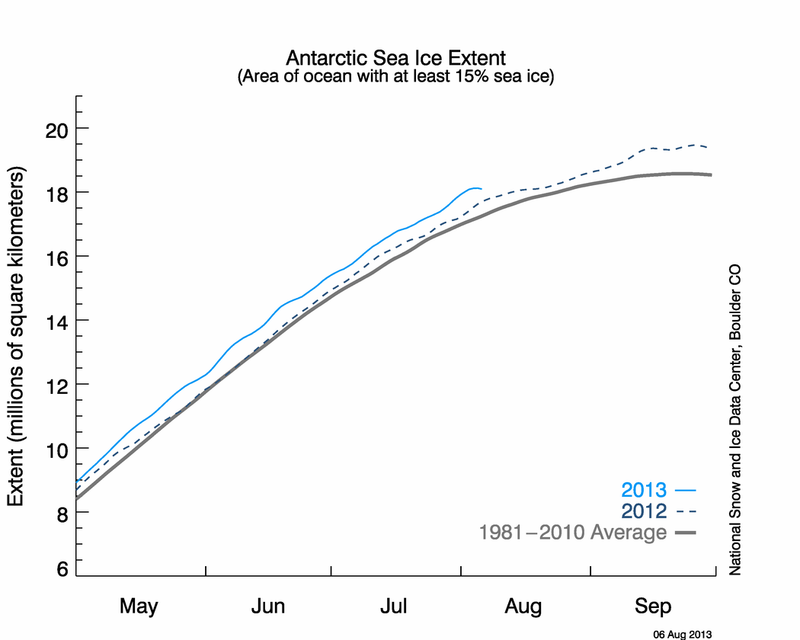 I suggest all CAGW alarmists follow the PP to its full extent. Taleb had a run in with the UK leftist news outlet, The Guardian. Regarding harmless comments which he made on the topic of climate change. The Guardian launches an attack upon any person who does not prostrate weeping before the altar of extreme climate alarm. Therefore they attack even Lomborg, who agrees with climate consensus but disagrees with some details of leftist policy prescriptions. Excellent example of how the HP is an extreme left wing propaganda rag. Funny enough the HP was started by a woman on the mild right who was concerned about the bad effects of drug prohibition. She couldn’t find an audience for that on the right and went full left. I corresponded with her some when she was doing her drug policy conferences. A little before HP IIRC. The “Precautionary Priciple” seems to be a means of favoring anyone who develops the scariest scenario, despite the odds against that scenario ever actually happening. So far, all the objections to GMO foods are unfounded in practice, but that has no influence on their promoters. Unless the big players of the insurance industry can’t wait to drop tons of money into this guy’s lap, excuse me if I just yawn and go for a nap. Let’s apply the same logic to the individual. Death is a “ruin” event. It should be defended against “at all costs”. Driving is risky. Therefore don’t drive. Pedestrians get run over. Therefore don’t leave the house. The problem with Taleb’s prescription is that we can imagine far more than we can reliably quantify, and even then we must live with risks. I can imagine many risks and catastrophes. Of course the answer is to have prosperity and keep evolving technology. As we do. Not to waste resources in fades of the day. Nassim and Larry. A direct hit by a huge bolide should be ruled out because whatever we spend on precautions, life on the planet is definitely going to have to start over from small beginnings again. Maybe a secret mission to move a few thousand people and plants to Mars or someplace is all we could do if the idea is to maintain human existence. The planet? not much can be done in advance. All the other things you guys and legions of others waste your lives, careers and our cash on, just do not happen. I have formulated this previously in comments as an axiom. Imagination is in very short supply, residing in a few percent of the population. All failures for doom scenarios to come to pass are the same. They don’t take into consideration technology and the genius of the few percent who are problem solvers in this world. They are preselected in their education and all avoid technology as a discipline. This is why it is difficult to recruit engineers into the Kumbaya throng. The diplomas of doom mongers give them the appearance of experts on biosphere affairs, but, by excluding (unwittingly) the dynamism of human ingenuity from their purview, their universe is static and passive. They have studied animals and plants that behave predictably the same. Oh, if I want to know how many tigers there are in the forest, I will call on them. They will collect the poops and all the other things they do and will give me a fairly reliable picture of the tiger’s numbers, situation, health, diet,….But, how can this give them expertise greater than that of the butcher, the baker and the candlestick maker to give us a prediction of famines (Club of Rome), city burials in horse manure (Malthus), pollution, the climate, etc. (too numerous to list). Hundreds of years of doomsayers have NEVER, EVER been right. Most are arise from misanthropic personality disorders. All are simplistic in their thinking and divine the future mainly from, naïve, linear minds (how compelling and obvious the population problem is to them). The few percent, whose panorama includes human ingenuity in their purview, know how foolish it is to try to predict such things. It is AXIOMATIC THAT PREDICTIONS FROM DOOMSTERS HAVE NOT AND, I WOULD SAY CANNOT COME TRUE because of the missing dynamic ingenuity factor in their thinking. Unconstrained by this first order principal component, their thoughts (and heartfelt concerns) soar through the roof of reality. The real scary thing is the inevitable additional confounding factor of unexpected consequences that abound in any action that might be designed by (linear thinking) doomsters. Sorry Larry and Nassim, this dog will never hunt. Mod, I don’t think I used any incendiary words? Because the ‘cost’ of ruin is effectively infinite, cost-benefit analysis (in which the potential harm and potential gain are multiplied by their probabilities and weighed against each other) is no longer a useful paradigm. Even if probabilities are expected to be zero but have a non-zero uncertainty, then a sensitivity analysis that considers the impact of that uncertainty results in infinities as well. The potential harm is so substantial that everything else in the equation ceases to matter. In this case, we must do everything we can to avoid the catastrophe. There’s a plethora of as yet unknown potential system wide catastrophes, threatening with complete ruin and having essentially zero probability, but non-zero uncertainty. As a matter of fact unknown things are of course uncertain. Events like this are not even enumerable, so protection against them is impossible within the system, not even possible at “all costs”. Under these circumstances the only solution is to redefine the “system”, to make global catastrophes no longer system wide ones. Therefore the precautionary principle dictates we spread to self sustaining colonies in space, to other stars, other galaxies and beyond at “all costs” as soon as practicable. This way even unknown global events cease to threaten with complete ruin, so risk analysis becomes possible again, with finite (albeit large) costs all over the map. That move can only be facilitated by swift technological progress, so whatever hinders technology, defies the precautionary principle. Q.E.D. The Precautionary Principle is self contradictory. IMO. From what I’ve gathered, a ‘Carrington Event’ level solar magnetic storm could utterly devastate our electricity distribution systems, as could a single EMP type nuclear device, which would result in truly horrific consequences. And it seems that roughly two billion dollars could provide protection (for the US) such that most of the system could be spared and/or restored reasonably quickly . .
Taleb knows no more about the future climate than a village idiot. In fact, he may know less than a village idiot — a village idiot is likely to say “I don’t know”, while Taleb does not know those words. The climate in 2016 is wonderful, compared to what is known about the climate in the past 4.5 billion years. Carbon dioxide does not control our planet’s climate, and never has. The future climate is unknown, and unknowable. These simple thoughts are way over the head of a self-proclaimed “genius” like Taleb. His 2007 Black Swan book is grossly overrated. I own a copy, and have read it. Lucky timing when it was published. Takleb had a decent book titled “Fooled By Randomness” in 2001. I have no idea what happened to his mind since then. Perhaps fame has gone to his head. He certainly has a high opinion of himself. And at the same time he recognizes that climate models are not reliable. It’s pretty bizarre. It’s easy to see when someone else’s predictions were wrong — especially after observing 40 years of inaccurate climate model predictions — and claim the climate models don’t work. But still very hard to predict the future when you don’t know exactly what causes climate change. In addition, no regular climate cycles have been discovered to allow us to “predict the future” by merely assuming the cycle will indefinitely repeat. I suggest flipping a coin. I had to go to the “shockwaves” link and wayyy down the page found “space weather”. Well a CME strong enough to knock out our electrical and communications grids is not a rare event of low probability at all. In fact, it could happen tomorrow, and we have absolutely no way of predicting it. We have less than 200 years of historical records regarding such events to estimate frequency or magnitude. BUT, this is something humanity can prepare for, and more effectively and economically than for major asteroid strike, for which we have records going back millions of years. Admittedly, this would not necessarily extinguish the human species, but it could very well cause us to lose all of the learning and technology we’ve accumulated over the past several thousand years, and leave only savage cannibals as survivors. I personally consider that prospect more dreadful than simple extinction. But of course, the preparations required run counter to the precepts of “globalization” and “just in time” production and distribution, which dictate that everything must be produced and distributed in the most “economical” manner, and most importantly, that the process of stretching the net of commerce ever wider must never be interrupted. I’m hoping there are still some governments in the world that value the survival of our civilization higher than their GDP. Research into the minimal population size and infrastructure required to maintain some semblance of our current civilization, at least enough to educate the survivers to utilize the artifacts and documents that survive, would be a good start, together with a plan for providing the food, water, and medicine needed to keep such a population alive and functional. But maybe the “1%” already have this in hand, possibly with a location somewhere in Patagonia, and sailing yachts in which to get there. “I first studied Mr Taleb’s theories as applied to financial markets. The idea is that trading profits can be gained by assuming that extreme events are more frequent than the markets expect. Like Mr. Colbourne I first became aware of Mr. Taleb through the financial markets when a friend pointed out that some of the conclusions that I had reached in a short article were covered in The Black Swan. Perhaps because we both came to Taleb through finance I firmly concur with Mr. Colbourne’s conclusion. If I may be permitted a digression, my own experience of the Precautionary Principle was not fortunate. A shallow stream with deep banks flowed by the side of public playing fields close to a children’s park. Because of the danger that children could fall into the stream a very expensive fence was built on the bank of the stream. When a child eventually found a way under this fence it took rescuers more than ten minutes to reach him and the boy nearly drowned. Removing the fence was almost as costly as installing it.